Politicians should learn to work with the civil servants by winning their hearts and minds, just as in the United States and in the United Kingdom, whenever there is a change in government. THE recent brouhaha over the appointment of former Selangor Jais director Datuk Mohd Khusrin Munawi as the new Selangor state secretary is really much ado about nothing. In my humble opinion, the appointment made by the Federal Public Services Commission (PSC) under Article 52(1) of the Selangor State Constitution (SSC) is constitutional and lawful. Taking the words of Article 52(1) literally, it would appear that the sole appointing authority of the three Selangor State officers is the “appropriate Service Commission”. The provision does not mention the need to consult or even obtain the prior consent of any other person, including the Selangor Sultan and Mentri Besar. If at all the Service Commission had consulted or obtained the consent of the Sultan or Mentri Besar, then this was done out of courtesy but certainly not out of any legal obligation. However, the position would have been different had the older version of Article 52(1) not been amended by the Constitution of Selangor (Second Part) (Amendment) Enactment, 1993. The repealed Article 51(6) was redundant because there is an “appropriate Service Commission”. In fact, the Selangor Service Commission was established shortly after Merdeka together with Johor and Perak whilst Kelantan and Terengganu had a joint commission. Hence, the Selangor Sultan has made various regulations in relation to the Selangor Service Commission pursuant to Article 132(2) of the Federal Constitution (FC), such as the State of Selangor Public Officers (Appointment, Promotion and Termination of Service) Regulations 2005 (2005 Selangor State Regulations). It follows the question which everyone is now asking: who is this “appropriate Service Commission” given that Selangor already has its own Service Commission established under Article 97 SSC? It is respectfully submitted that the PSC is the “appropriate Service Commission” referred to in Article 52(1). (2) if there is no state public service commission in any state, then Parliament may by federal law extend the PSC’s jurisdiction to that state. Article 139(3) of the FC also provides that the state legislature can always later revoke or modify any state law extending the jurisdiction of the PSC to that state. In the case of Selangor, scenario (2) will not apply since there is already a Selangor Service Commission. The next question is whether there is a Selangor State enactment extending the jurisdiction of PSC to any persons in the state service. If there is, the Selangor legislature can easily by a simple majority revoke the enactment by terminating the jurisdiction of the PSC without the need to amend the SSC. But despite my best efforts and because access to sources of state enactments made in the early days of Merdeka is rather limited, my research has found no such Selangor state enactment similar to the aforesaid enactments of Pahang, Perlis and Negri Sembilan. However, whether there is such an enactment or not is not really material in Selangor’s case because its position is rather peculiar. It is respectfully submitted that Selangor has satisfied the above scenario (1) and the law which extends the jurisdiction of PSC is actually found in SSC itself under Article 97(9). In other words, the right of Selangor Service Commission to make appointments is subject to “existing law”, that is to say, “existing law” has application in Selangor. This Article 97(9) SSC is similar to Article 144(1) FC which provides that the jurisdiction of the PSC is also subject to “existing law”. What then is this “existing law”? Article 160(2) FC defines this term as “any law in operation in the Federation or any part thereof immediately before Merdeka Day”. “Law” is further defined to include written law, common law, custom and usage. But does Article 160(2) FC, which defines these terms, apply to the SSC? The answer is yes, because Article 94 SSC expressly provides that the definitions in Article 160(2) FC will apply when interpreting the SSC. Of course, one will immediately ask what is this pre-Merdeka law that the jurisdiction of State Service Commission and the PSC is subject to. It is my considered opinion that this “existing law” refers to the law, custom and usage applicable to the Malayan civil service which is now known as the administrative and diplomatic service, of which Mohd Khusrin is a part of. In other words, the jurisdiction of the Selangor Service Commission does not extend to the administrative and diplomatic officers who are within the purview of the PSC. This is clearly reinforced in the above 2005 Selangor State Regulations, which show the Selangor Service Commission only deals with junior officers or the rank and file. It is also interesting to note that no other State Constitution has a provision identical to Article 97(9) SSC. But in Perak, an almost similar provision appears in Section 11(1) of the State Public Service Commission Enactment, 1959 and my above arguments should also apply to Perak. But the difference is that Article 97(9) SSC can only be amended if the two-thirds requirement is met. To appreciate this, one must look at history – when Selangor was one of the four Federated Malay States together with Pahang, Perak and Negri Sembilan. In the late 1800s, the civil services of the Federated Malay States were amalgamated with that of the Straits Settlements of Penang and Malacca into a unified Federated Malay States Civil Service (FMSCS) – the precursor of the prestigious Malayan Civil Service, then predominantly staffed by Malay officers. The Treaty of Federation 1895 then led to the FMSCS turning into a single administrative unit where all the civil servants would report to the Resident-general based in Kuala Lumpur, then the capital of Selangor. From 1911 to 1935, the title “Resident-general” was also known as the Chief Secretary. On the other hand, the Unfederated Malay States of Johor, Kedah, Kelantan, Perlis and Terengganu had their own separate civil services, which remain until today except for Perlis which extended the PSC’s jurisdiction pursuant to its 1958 Enactment as explained above. Turning to the issue at hand, the validity of Mohd Khusrin’s appointment is not affected even if Mentri Besar Tan Sri Khalid Ibrahim refuses to allow Khusrin to take the oath of secrecy under Article 52(4) SSC. At worst, Khusrin is barred from attending State Executive Council meetings. But can Khalid afford to prolong the altercation with Mohd Khusrin, who is head of the Selangor Civil Service, any further if he wants the policies of the state government to be implemented? I would have thought that Khalid had learnt from former Mentri Besar Datuk Seri Dr Mohamed Khir Toyo’s experience. Dr Mohamed Khir had publicly ridiculed a senior state civil servant by awarding him a broom for poor performance before the last general election. Pakatan leaders ought to realise that the reason why the three state officers who are professionals are allowed to become ex-officio members of every state exco in this country is because of the role they have to play as a constitutional check and balance on the politicians’ exercise of executive powers. This helps bring about transparency, accountability and good governance. 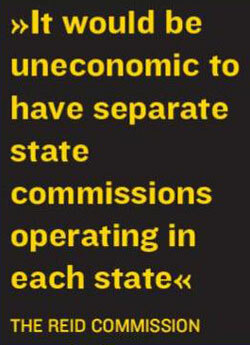 It is for this same reason that in some state corporations, the federal government is entitled to appoint their representatives to sit on their boards pursuant to the Incorporation (State Legislatures Competency) Act, 1962. I am also rather amused that just because of the Mentri Besar’s dislike for and distrust of Khusrin, the SSC has to be amended. Did I not hear from all those speeches of Pakatan leaders that a constitution is sacrosanct and amendment should only be made as a last resort? There is even now a suggestion to make the amendment, if passed, to have retrospective effect, and such a move is against international norms. If the reason given by the Selangor leaders is to reinstate the above older version of Article 52(1) in order to return the appointment powers to the Sultan, my next question is whether they would also at the same time repeal Article 55(1A) SSC, which was inserted by the above 1993 Amendment Enactment. Article 55(1A) provides that if the Sultan is to act in accordance with the advice of any person, the Sultan “shall accept and act in accordance with such advice.” There is a similar provision in Article 40(1A) FC applicable to the Yang di-Pertuan Agong. If Article 55(1A) SSC is not repealed when reinstating the older version of Article 52(1), it will mean the Sultan still has no discretion but to act on the advice of the Mentri Besar. It is also unconstitutional to repeal Article 55(1A) SSC without also repealing Section 1A of the Eight Schedule of the FC, as Article 71 FC requires the former provision in the form of Article 55(1A) to be inserted in the SSC. If so, will the Pakatan legislators be able to repeal Section 1A of the Eight Schedule of the FC in Parliament? Sadly, all this boils down to the inexperience of government of the Pakatan leaders. It is hoped that if they strongly believe in a two-party system, they would learn to work with the civil servants by winning their hearts and minds, just as in the United States and in the United Kingdom whenever there is a change in government. *The above article was first published in The Sunday Star on 9 January 2011.